This page provides links to advice on starting an Open Access journal. There are already many OA journals published in Australia. An annotated bibliography of case studies from both a library and editorial perspective is on a separate page. This page has information about online tools, lists blogs about starting an OA journal, information for societies as OA publishers, and libraries as publishers, finishing with links to index journals. Online tools to assist those looking at starting an OA journal include “OA Publishing links and resources” from SPARC Europe. Information is available on the site of the Open Access Scholarly Publishing Association. There is a list of ‘Guides for OA journal publishers’ on the OA Directory site. The Association of Learned and Professional Society Publishers (ALPSP) offer online courses in journal publishing – for example their ‘Introduction to Journal Publishing‘ course. They also offer face-to-face training such as ‘Developing Open Access and Hybrid Journals‘. There is software that helps practitioners to manage journals. Most are on the list of Free and open source journal management software. One of the most widely used software available is Open Journal Systems. The Open Access Directory includes the following useful lists: Guides for OA journal publishers, OA journal business models and OA journal launch services. The OASIS (Open Access Scholarly Information Sourcebook) has a page on “Setting up an Open Access journal” with links to information on: Tools and platforms for Open Access journal publishing, Scholarly societies and Open Access publishing, Open Access journals: business models, Open Access publishing in the humanities and Open Access publishing in the social sciences. The Budapest Open Access Initiative open access journal business guides offer several titles (note that although published in 2004 the information is still relevant). How to start an Open Access journal, 4 September 2013, this blog written by La Trobe PhD scholar Karina Quinn provides good links and advice based on her experiences starting up a peer reviewed scholarly open access journal. Starting an Open Access Journal: a step-by-step guide part 1, written in July 2012 by Dr Martin Paul Eve, a humanities lecturer at Lincoln University, this includes comprehensive advice and templates including one inviting people to become members of the editorial board. The second part Starting an Open Access Journal: a step-by-step guide part 2 looks at the technical aspects of setting up a journal. Many scholarly societies are battling with the question of making their journal open access. BioMed Central offers partnerships for people wanting assistance with starting an open access journal. 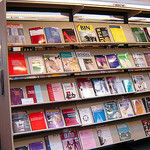 In October 2013, the Library Publishing Coalition launched the first edition of the Library Publishing Directory. It has a US focus, there is an OA version available. The three day course: Scholarly Publishing Certification Course: A Training Program for Library-Led Publishing Initiatives, was first held at the bepress offices in Berkeley, California in October 2013. A new report Library-led Publishing with bepress Digital Commons: Data and Benchmarks Report, looks at Libraries as publishers. The report presents detailed data from across all journals hosted on Digital Commons, showing how publishing rates and readership vary within the community and how these trends can be used to derive target activity levels for new journals. It also looks at publishing across various disciplines to see which of those disciplines are well represented and which may be underrepresented. Measuring the success of publishing efforts can be key in proving viability to stakeholders. Using data that reflects the publishing experiences of over 180 institutions, the authors are able to suggest benchmarks of publishing activity and readership that will help publishers set goals and prove effectiveness. A Google Group exists to develop a community of practice around the open access journal publishing happening at many of our universities. The Open Access Tracking Project has a tag library for the “oa.libpub” tag (libraries as publishers). When starting any journal it is important to ensure they are listed in relevant databases. Here are some places to index work. Here are links to the correct pages in Scopus, Web of Science (Thomson Reuters), Ulrichs web (widely considered the most complete list of journals worldwide) and EBSCOhost.